SMS Pommern was one of five Deutschland-class pre-dreadnought battleships built for the Kaiserliche Marine between 1904 and 1906. During the scattered night action at Jutland, the Grand Fleet's 12th Destroyer Flotilla found six enemy targets on the horizon at 0145, 1 June. One of the targets was Pommern. 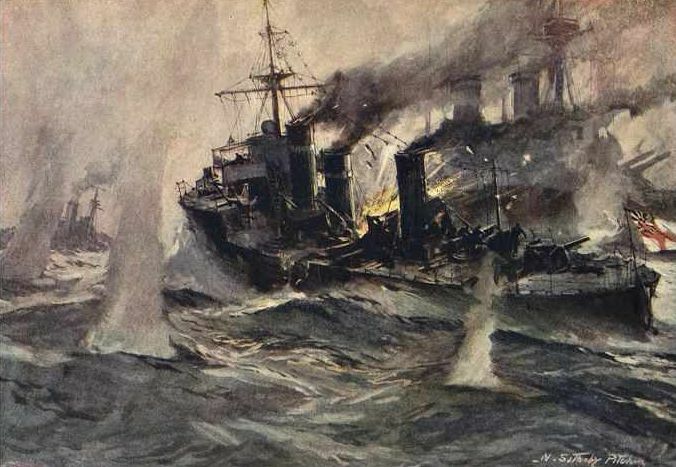 Historian Richard Hough described the ensuing action: "[The] flotilla succeeded in discharging 17 torpedoes in all, and were rewarded by the sound of a rending explosion and the sight of a yellow flash that lit the sea and sky. Recovered from the temporary blinding, [Flotilla Commander Capt. Aselan] Stirling could see that the symmetry of the line had been broken by a gap. A single torpedo had struck the pre-dreadnought battleship Pommern in a vital and vulnerable part, and the ship had instantly disintegrated without trace. No sinking could be more decisive,or horrifying." There were no survivors from over 800 crew members. 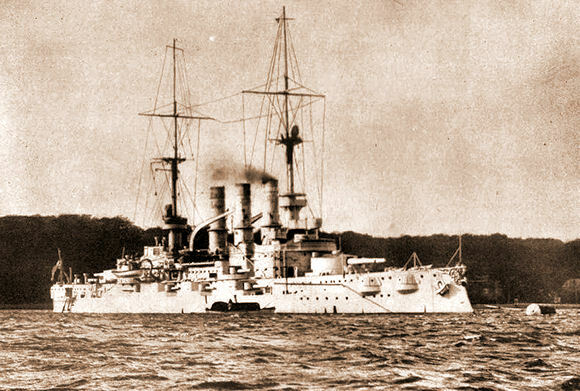 SMS Pommern was the only battleship—either dreadnought or pre-dreadnought—sunk during the Battle of Jutland.